(Bloomberg) -- Nissan Motor Co. took an $83 million charge related to the compensation of jailed former Chairman Carlos Ghosn as the Japanese automaker reeling from the shock arrest of the iconic executive warned of its lowest profit in six years. 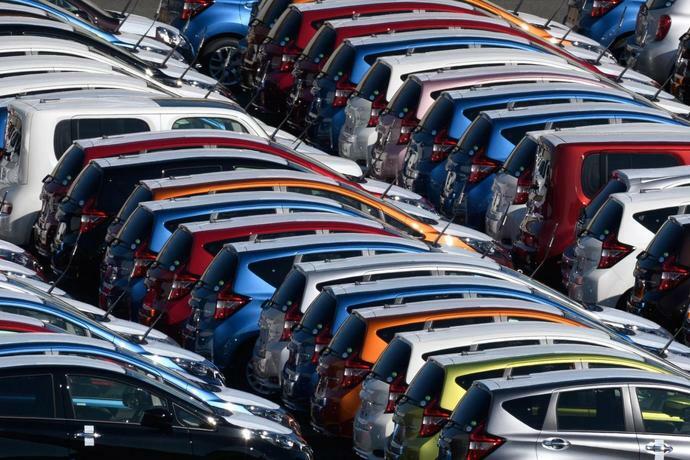 Japan's third-largest automaker by market value slashed its operating profit forecast to 450 billion yen ($4.1 billion), below the lowest of analysts' estimates as sales in China and the U.S. continue to wane. The charge taken against the 64-year-old's remuneration is preliminary and may change depending on how the investigation into the alleged financial misconduct by Ghosn proceeds. The industry titan was arrested on Nov. 19 and has been in jail since. 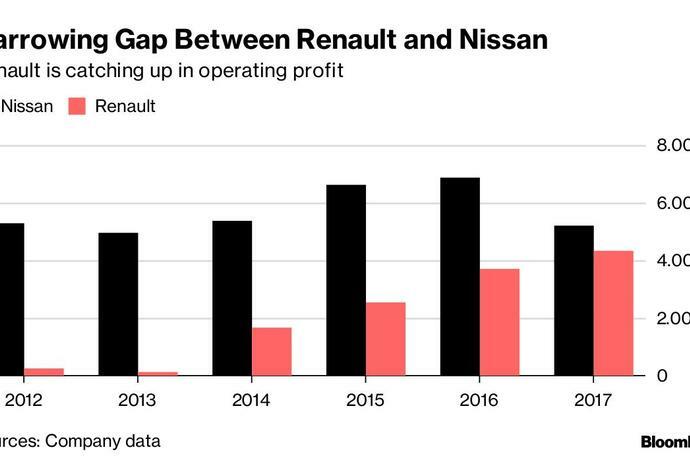 Cooling sales and profit are intensifying the pressures on Chief Executive Officer Hiroto Saikawa, who is trying to ease tensions with partner and shareholder Renault SA following Ghosn's arrest. The companies have spent the past two months coping with a major reputational hit from the scandal, indictments by Tokyo prosecutors over alleged financial improprieties and an unflattering spotlight on both companies' corporate-governance controls. Tuesday's earnings announcement is the first window for investors into the Yokohama, Japan-based automaker's challenges since the Ghosn arrest, while the entire industry faces complex issues such as the U.K.'s potentially jarring exit from the European Union and huge investments in electric and autonomous vehicles. Meanwhile, the management of the Japanese carmaker and its French partner are focused on dealing with internal issues amid efforts by Nissan to rebalance the two-decade old relationship. "You could end up with an alliance with nobody in charge and achieve nothing going forward, and so it just becomes an alliance in name only at a critical time when technology is changing in the industry," Christopher Richter, an analyst at CLSA, said before the results. The arrest of Ghosn, the glue binding the two automakers since he took command starting in the 1990s, has intensified already existing tensions between the partners. Saikawa said Tuesday the alliance may need to revisit the targets it has set for 2022 -- a set of goals given in 2017 that call for synergies and increased annual vehicle sales. Nissan's Germany-traded shares fell as much as 6.8 percent before recovering, while Renault declined as much as 1.9 percent in Paris. Stocks of both companies are down sharply since Ghosn's arrest. The one-time charge of 9.2 billion yen to reflect Ghosn's yet-to-be-paid remuneration shows Nissan and Renault are set to feel reverberations from the scandal for a long time. Renault reports earnings in two days. The so-called deferred pay has emerged as a point of focus for Tokyo prosecutors who have indicted Ghosn for allegedly understating his income at Nissan by tens of millions of dollars. Nissan lowered the volume forecast for vehicles it expects to sell this fiscal year to 5.6 million from 5.925 million, reducing its expectations for all major markets, including China, the U.S., Europe and Japan.